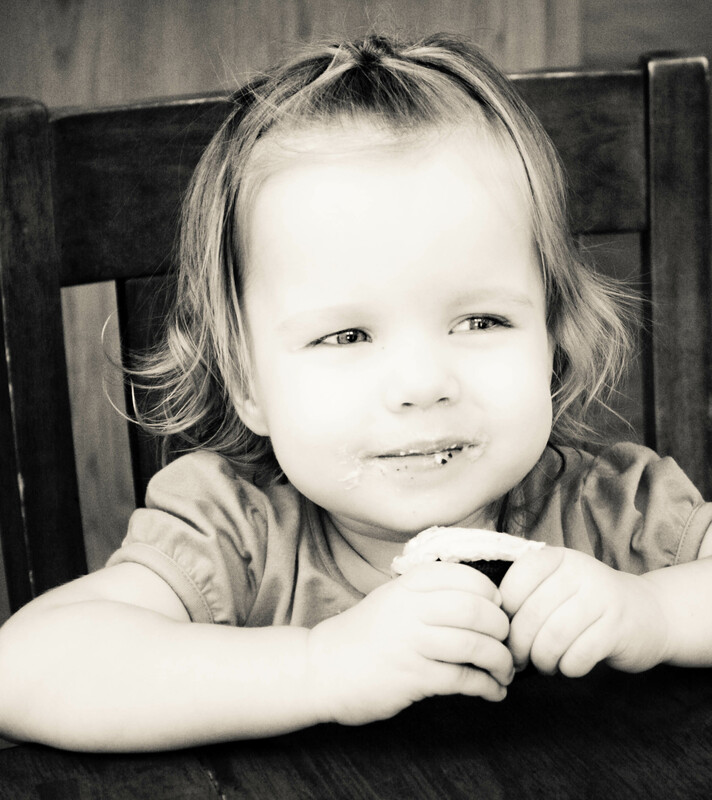 Posted on August 14, 2012 by Becki M.
At 9:11 pm last night, Brooklyn officially turned 2 years old. 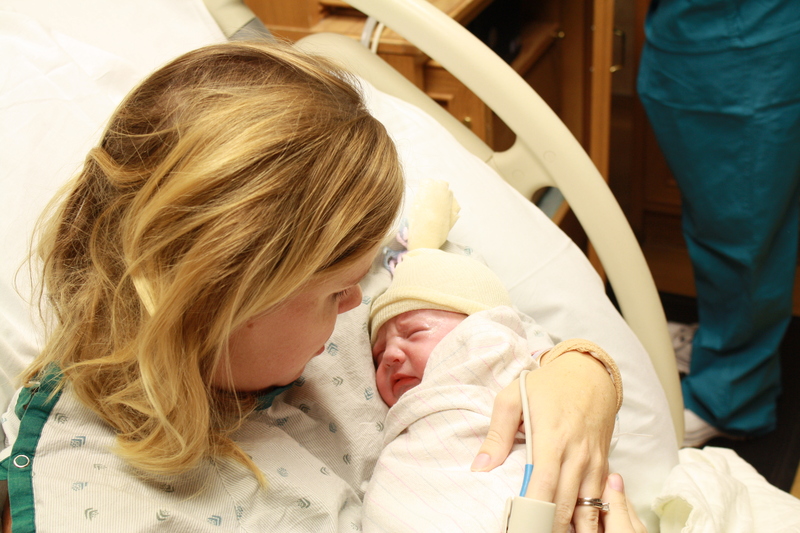 From 6 lbs, 3 oz and 18 inches to 28 lbs, 2 oz and 35 inches…I’d say she’s grown. So, 2. My very last tiny face turned 2 yesterday, and I can hardly believe it. It really is strange being done with “baby” things. The crib is taken down, the onsies given away, the tiny socks a thing of the past. There are a lot of great things about a house full of older children, but I do miss the soft snuggles brand new skin and the sweet, milk-scented breath of one fully dependent on your body to make her food. But I just adore this big-girl face. Her silky soft curls and button nose and dimpled cheeks are some of my greatest treasures. She has pouty lips and eyes the color of a Caribbean sea. She is spunky, independent, and brilliant. She doesn’t like to share, but loves to cuddle. The sun rises and the moon falls with her Mama according to her, and she never turns down an opportunity to run into my arms. I could be gone for 5 minutes or 5 hours and my welcome into the home would be the same; a cheer and a jump into my arms with hugs and kisses. 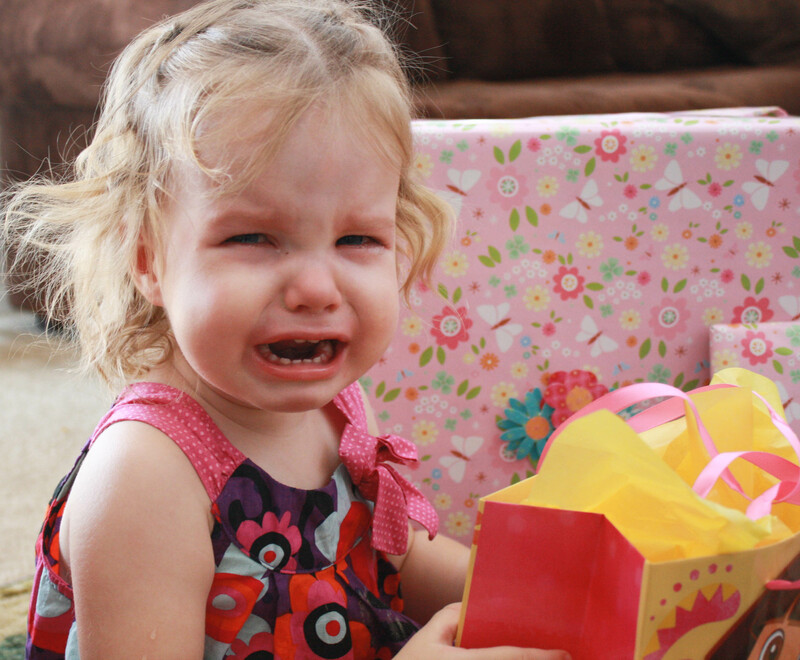 We let her open her presents from us on Sunday. 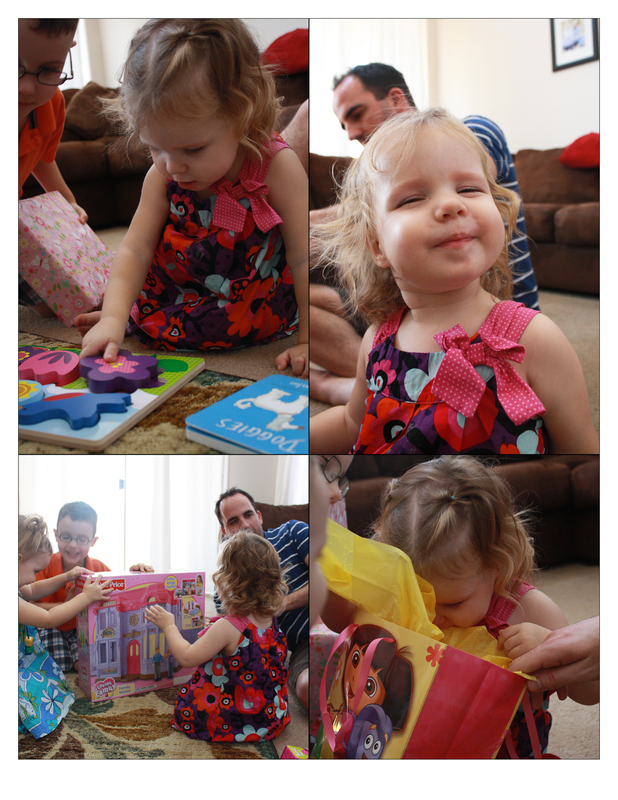 Dollhouses are her new thing, so we got her the Fisher Price Loving Family Manor. 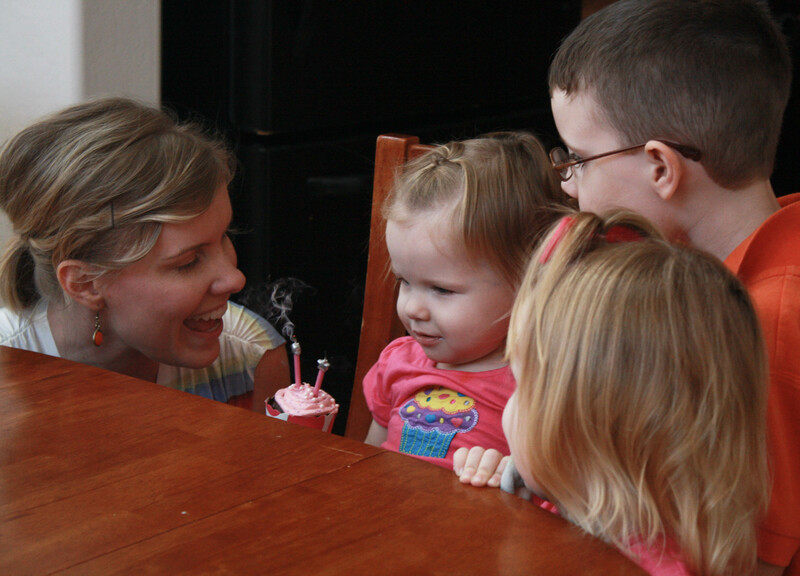 Brooklyn declared it the “best birfday ever!”. 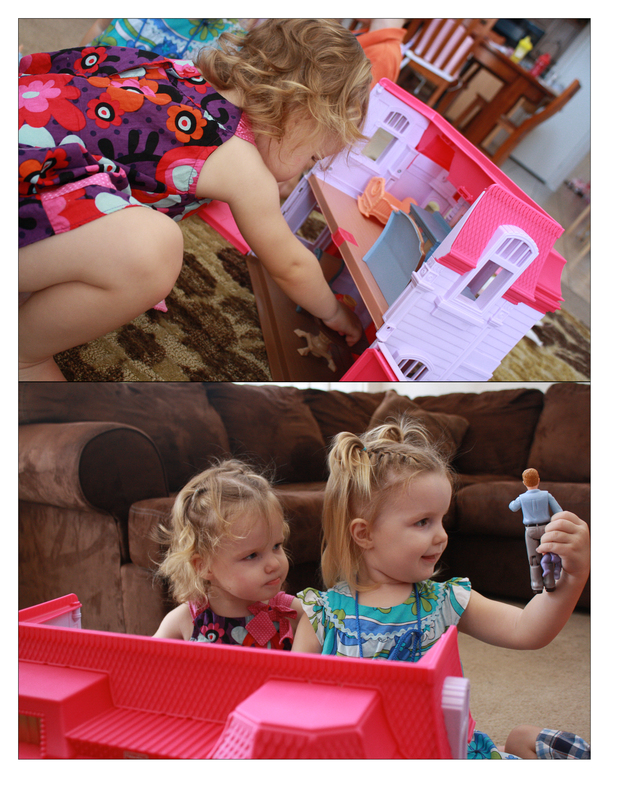 The dollhouse was a HUGE hit! I knew it would be; in one of the model homes we had recently been in, a dollhouse was set up in one of the bedrooms. The girls loved it, and I knew it was the perfect time to get it for them. 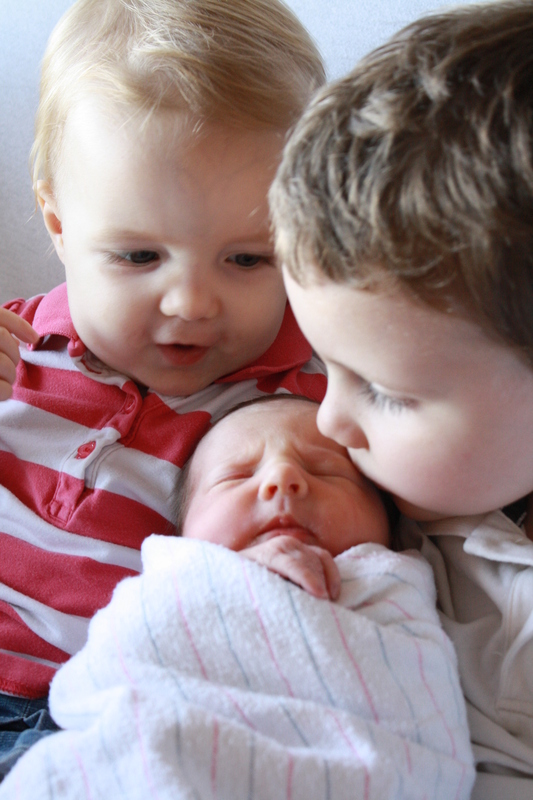 I am going to need to order an extra baby for the set; the baby is the doll both the girls want to play with, lol! We had some of her friends over for a little play date on her actual birthday. And while it wasn’t quite that dramatic when her friends gave her best wishes, she didn’t really crack any smiles, lol! Poor dear! She had a lovely birthday, even if she was a wee bit tired and out of sorts! Your brother and sister don’t call you by your name. They call you, “Baby”. They always have. It isn’t meant in jest, although I’m sure you will take it that way one day. It is a term of endearment; when they call you ‘Baby’, it is always when they are talking about you lovingly. They coo over you, especially Jackson. The other day, I walked in and you and London were playing a game. It was the first glimpse I got of the relationship that is budding between you; no longer babies, but friends. Now that you both are learning to communicate more, the games of pretending are beginning and the secret laughs over things none of us know fill the room. I am jealous of you both; a sister is a treasure that you are blessed to have, and it is my prayer that the relationship you have with one another is made from the stuff that lasts a lifetime. You, my dearest, are a joy! You joke and perform with the aim to entertain, and you always succeed. You cuddle the longest, and are content to snuggle into my side and don’t mind my face close to your hair as I linger on the coconut smell of your curls. You notice painted toes and shiny lipgloss, and most of my morning routine is spent keeping your hands out of my makeup drawer! You giggle as I pretend to put eyeshadow on you, or dust your cheeks with the faintest touch of blush. You want to be like me, and it is my prayer that I am a woman that guides you to God. To you, a girl in a dress is a princess. “Imma pincess!” you declare if I dress you in a skirt or dress for the day. My dear, you are. You are a princess of the Most High, and I long to see you fulfill that role. You are heading into the year of 2, which brings many new things your way! Learning your letters and ditching those diapers are in the wings, and I am standing by waiting for your cue. I am always standing by. I love you to the moon and back an infinite amount of times. There is nothing that could separate you from my love, and I consider it a great joy and honor to be called your Mama. Here is to 2, my love! I sure wish I could have been there! 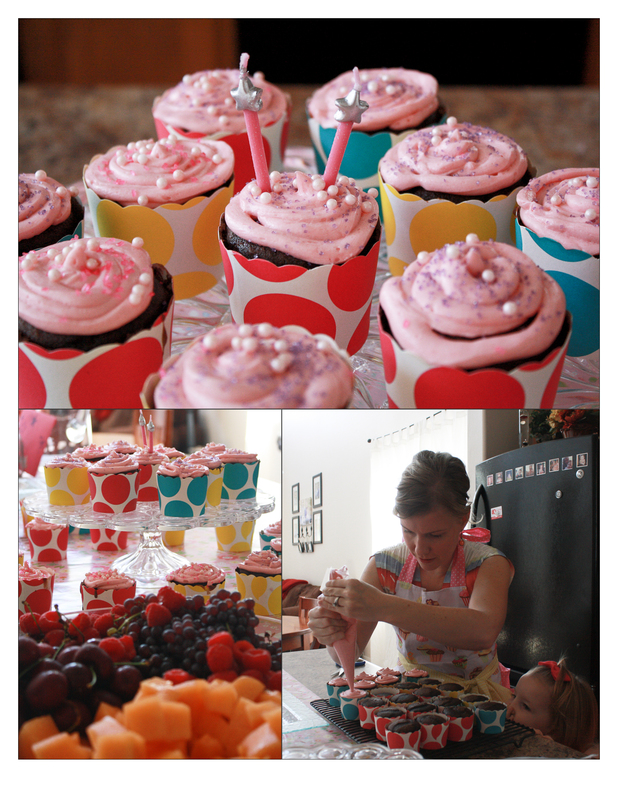 The cupcakes look wonderful…..and all the fruit and cheese. Having read the blog before I got this, I’m so sorry about your last week! I was very selfish to only think you didn’t respond to me! Please let your life settle down, and then I’ll wish Brooklyn a happy birthday. She won’t know the difference. It will just make the party last longer! My love to you all! So sweet. I feel your heart when you mention the excitement of things to come, but all the while will miss the baby years. I share that sentiment.